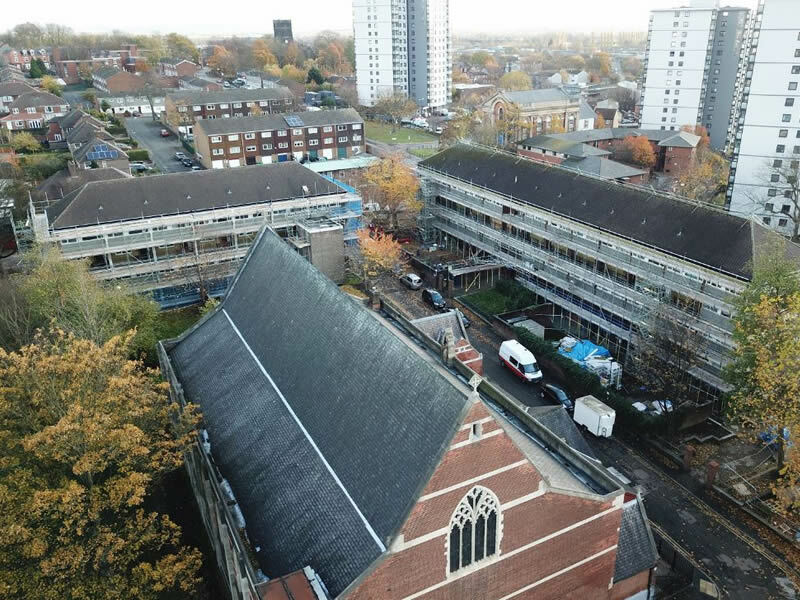 The energy efficiency scheme that we are currently delivering for Nottingham City Homes ("The Courts") features a large power storage facility, photovoltaic rooftop arrays and a pioneering low temperature district heating system . It will almost certainly be looked back upon as an important demonstration of new low carbon building designs and technologies. With this in mind, we recently appointed Suave Aerial Photographers to document our progress on site with a series of photographs and videos. We duly met up with one of the company's drone pilots and, after conducting the necessary risk assessments, made a series of flights over the various residential blocks. 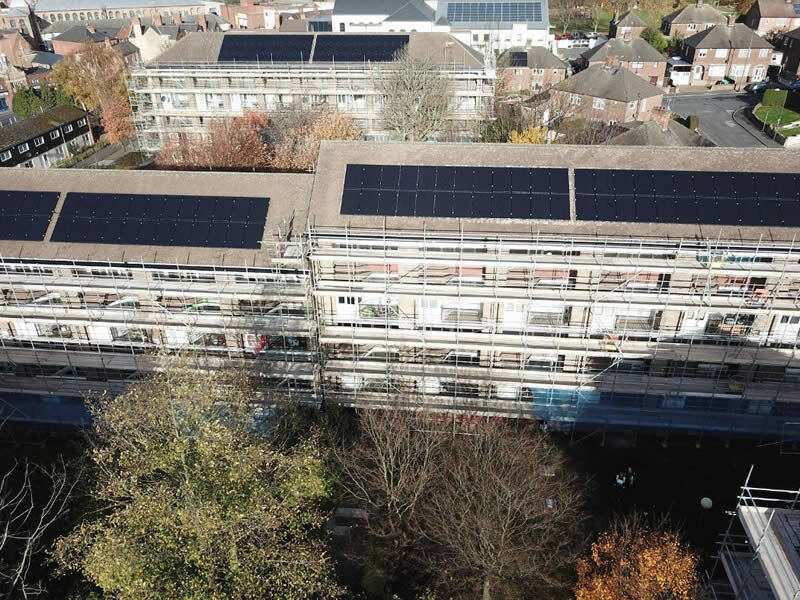 The resulting footage and high resolution images capture our work very effectively, giving clear views of the PV arrays, progress on the new plant rooms, and the installation of external wall insulation on the various elevations. 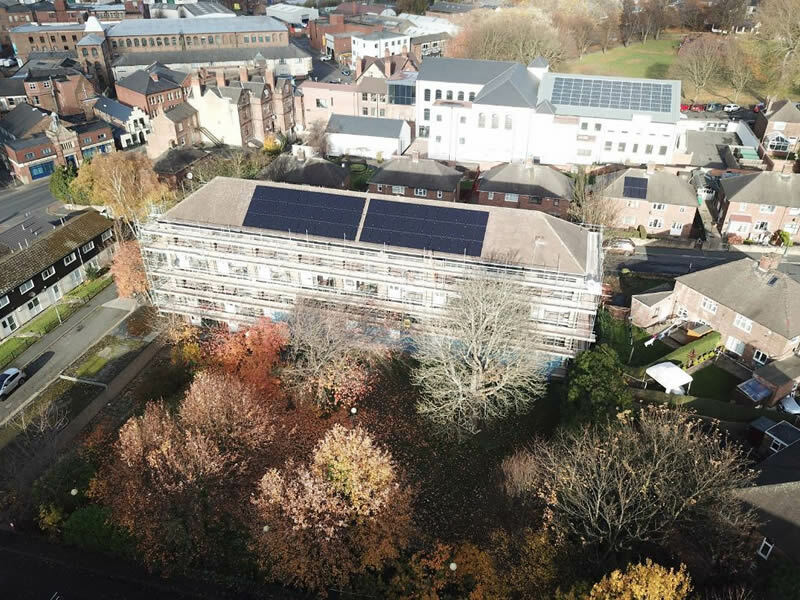 Next month, we will be taking more aerial photos, this time in Plas Madoc, North Wales, where we will be documenting a roofing and energy efficiency scheme carried out on behalf of Wrexham County Borough Council. The scheme involves around 200 properties, which are being treated on a rolling programme. More details of the scheme can be found here.